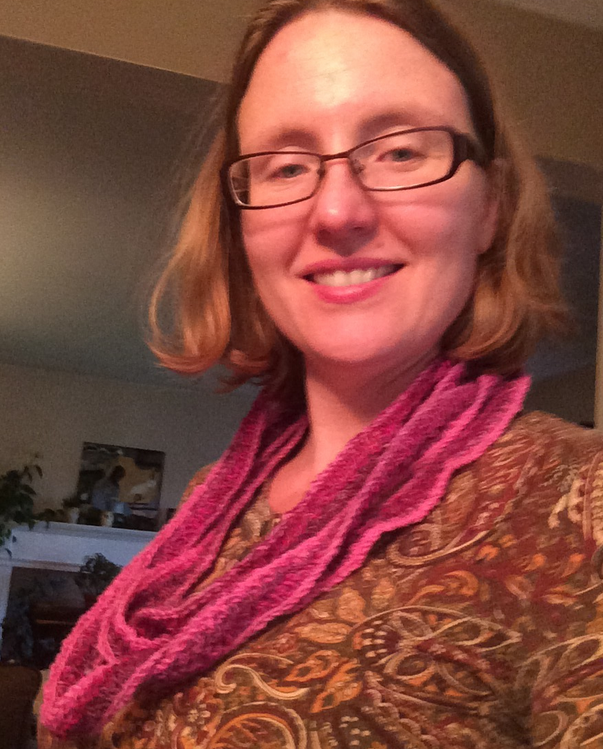 At some point during rhizo15 I decided it would to start knitting for online friends. 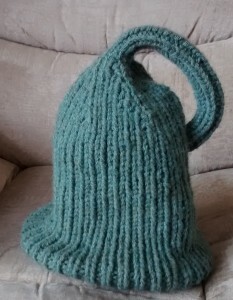 I started with a hat for Kevin (@dogtrax). 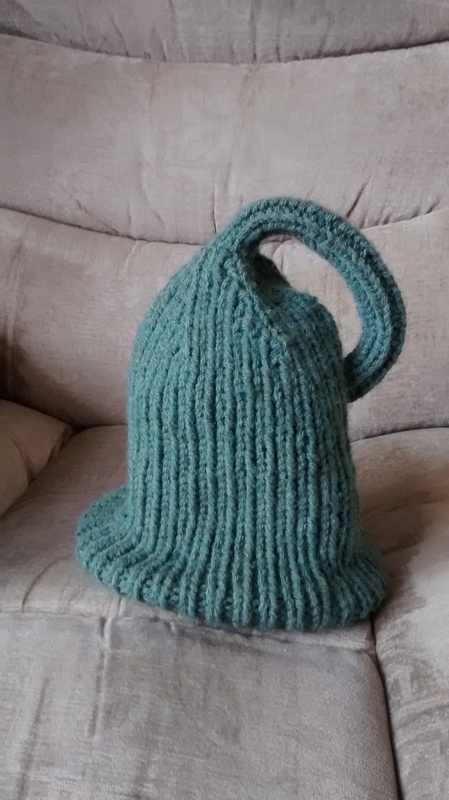 This is a Klein bottle hat based on a pattern from here. Susan(@EatcherVeggies) liked that, so I made her one as well, with an added VP badge for being Vice President of all the things. 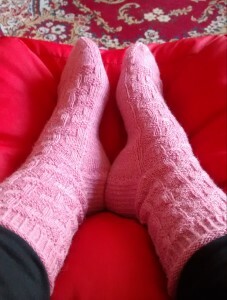 Then Wendy (@Wentale) liked my latest pair of socks, so they are on their way over to her. 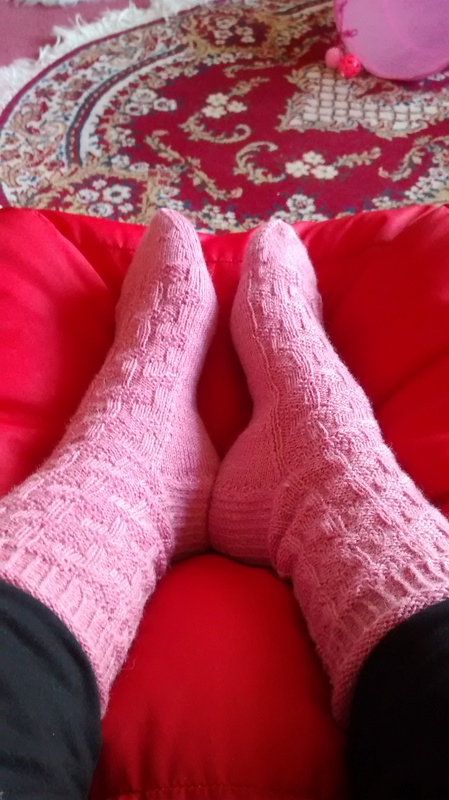 The pattern for these is “Necker” by Stephanie van der Linden. 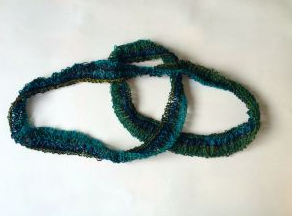 This entry was posted in #CLMOOC, #rhizo15, knitting. Bookmark the permalink. These are fun! I’m a loom knitter myself. It’s such a good way to relax–without snacking! Loom knitting looks like fun! Now that’s a great way to spend the week, making your online buds gifts.